The potential of developing new technologies that may assist people living with dementia to successfully navigate their day is increasingly recognised. Interventions include prompts and reminders to support memory function as well as safety detectors and activity monitors. Few however, have recognised the potential of using existing technologies as an intervention to support social interactions and enjoyable activities. 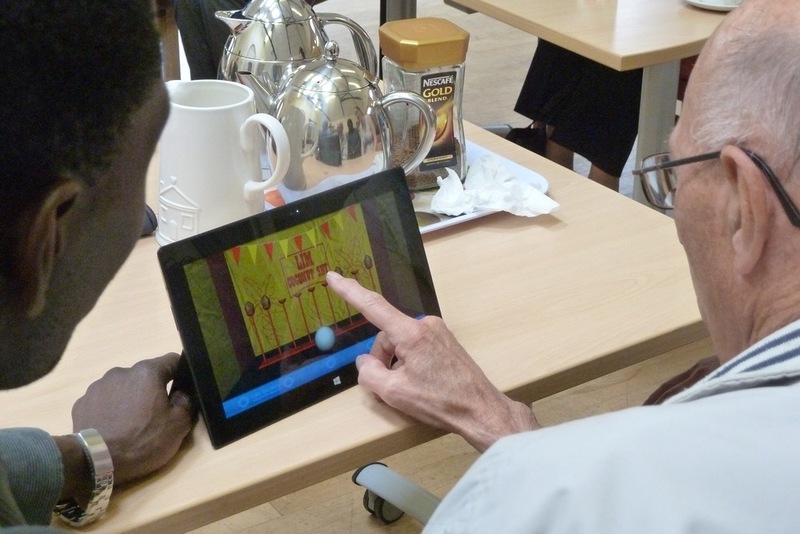 This thesis explored the potential of touch screen computer technology in facilitating enjoyable activities with people with dementia who live in the community. The project premise that technology may facilitate enjoyable activity by those with a dementia diagnosis was explored through two successive studies. The first involved attendees at a community day care centre. They were living with moderate to later manifestations of the condition but still lived at home, some alone. The second study involved people with a recent diagnosis of dementia and participants took part in their own homes. The methodology employed was a focused visual ethnography and data collection methods comprised of video-based participant observations and in-depth interviews. Data analysis required the development of a novel technique drawing on concepts of multimodality and visual ethnographic methods which enabled non-verbal behaviour to be represented as equally significant to verbal behaviour. Findings from study 1 indicate that activities were enjoyed ‘in the moment’. Although familiarity of the devices and applications was observed within sessions this did not extend between sessions. Further, the group context in study 1 provides regular social contact for people experiencing life in similar ways. In contrast, findings from study 2 indicated that the use of new knowledge and retained learning occurred across sessions for all participants, irrespective of the style of technology engagement. Nevertheless, the majority of participants in study 2 reported feeling lonely as a consequence of the condition and in need of increased social contact. The conclusions reached suggest that touch screen technology can facilitate enjoyable activities with people living with dementia, irrespective of the level of impairment, if supported appropriately. To access Sarah's thesis from the White Rose repository, follow the link below.